EASTWICK, Edward B.. Autobiography of Lutfullah, a Mohamedan Gentleman; and His Transactions with His Fellow-Creatures: Interspersed with remarks on the habits, customs and character of the people with whom he had to deal.. Smith Elder and Co.. 1857. Second edition. xii, 435pp, , 16pp adverts. 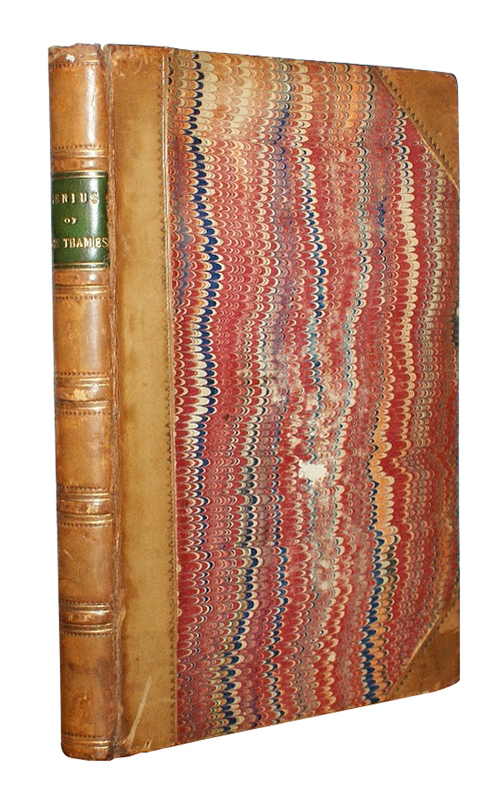 Finely bound in recent quarter red morocco over marbled boards, contrasting lettering piece, gilt titling. Small oval stamp, "Christchurch Rathgar." A clean copy save for very occasional marking to text. HAWKINS, Ernest. 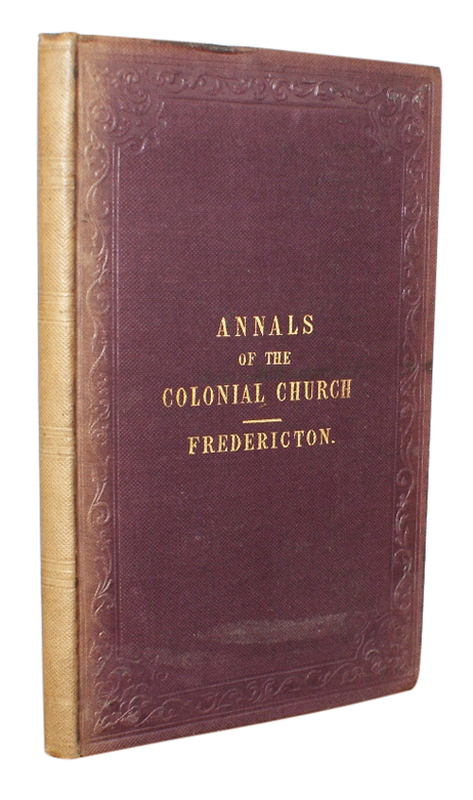 Annals of the Diocese of Fredericton. Society for Promoting Christian Knowledge. 1847. First Edition. viii, 3-74pp. With frontispiece engraving and folding map of the Diocese of Fredericton. 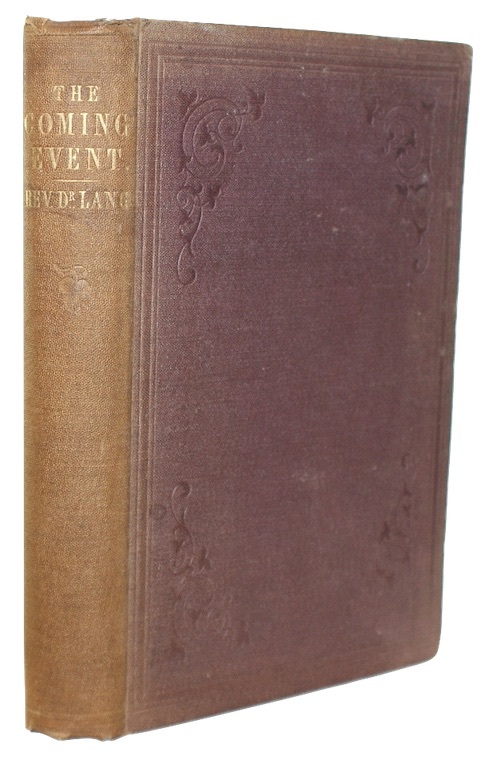 Original publisher's mauve cloth, blindstamped, titled in gilt to upper board. Spine faded, extremities a trifle marked and rubbed. LANG, John Dunmore. The coming event! Or freedom and independence for the seven united provinces of australia. John L. Sherriff. 1870. First edition. xviii, 453pp, . With an engraved folding map. 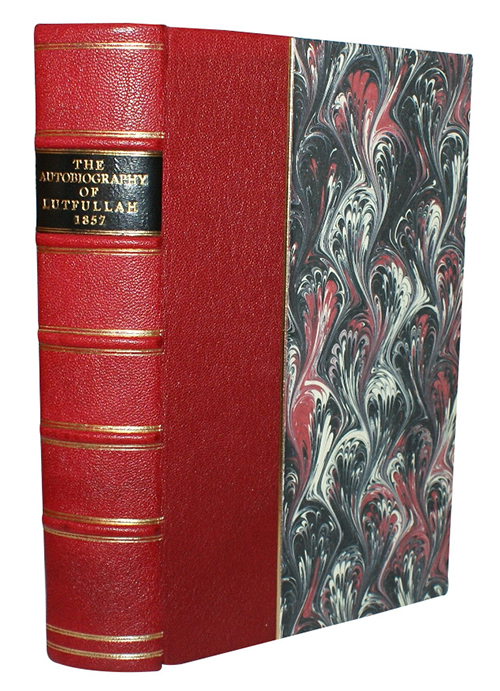 Partially unopened in original publisher's blind-tooled burgundy cloth, lettered in gilt. Extremities a trifle rubbed and marked, spine sunned. Very occasional marginal chipping, overall internally clean and crisp. 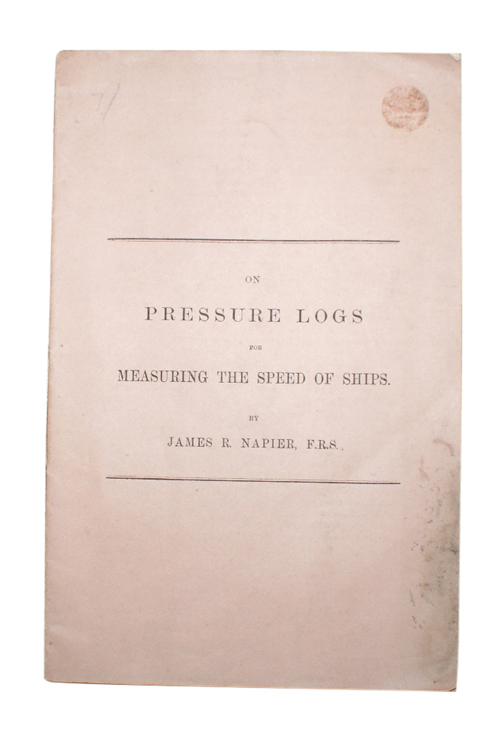 NAPIER, James R.. On Pressure Logs for Measuring the Speed of Ships. From the Proceedings of the Philosophical Society of Glasgow.. 1872. Offprint. 14pp, . With illustrations throughout. Original publisher's pink wraps. Soiling to part of upper wrap, internally clean and tight. PEACOCK, Thomas Love. The Genius of the Thames: a Lyrical Poem.. T. Hookham. 1810. First Edition. vii, , 147pp, . With half-titles. Victorian tan half-calf, gilt, contrasting green morocco lettering-piece. Lightly rubbed, with loss to head of spine. Ink-dated author obituary clippings pasted to blank-fly, four small mount-holes cut to half title; combined with the indentation on the following leaves suggestive that this once held a Carte de Visite of the author. Some glue residue to gutter of title. Leaf C5 bound before C4. SAMUEL, Rt. Hon. Sir Herbert. The Second Lucien Wolf Memorial Lecture. Great Britiain and Palestine, Delivered in the Great Hall of University College. 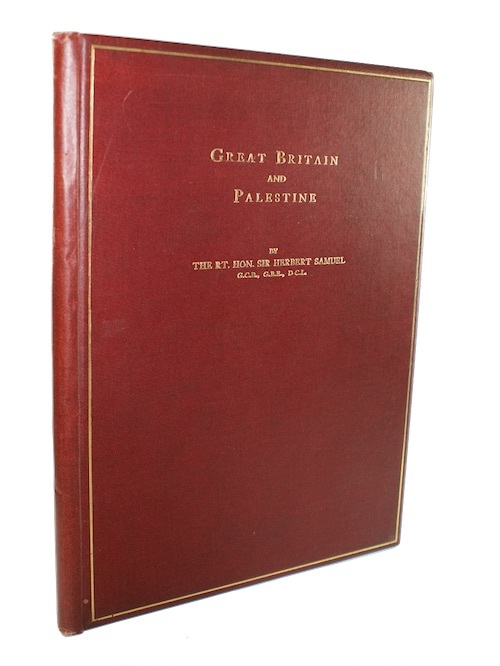 The Jewish Historical Society of England.. . First Edition. 29pp, . Single photographic plate of the platform from which the original speech was delivered. Publisher's wraps within publisher's red cloth, gilt. A near fine copy with only the slighest of wear to extremities. Presentation copy, inscribed in ink to the FEP 'With Gustave Tuck's Kind Remembrances, to Frank G. Salisbury Esq. 27 - 1 - 36'. [ASIA], [TURKISH HISTORY], VÁMBÉRY, Hermann. 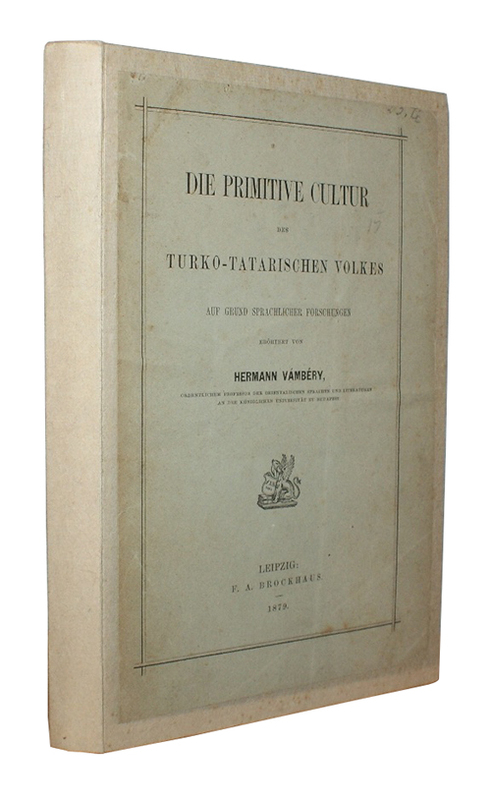 Die Primitive Cultur Des Turko-Tatarischen Volkes Auf Grund Sprachlicher Forschungen. F. A. Brockhaus. 1879. First Edition. , viii, , 276pp. Recased in modern boards with original wraps pasted on, rough-cut leaves. Slight wear to edges, corners bumped, some foxing. Title and half title separating, foxing throughout. [D'AUVERGNE, Edward]. A Relation of the Most Remarkable Transactions of the Last Campaigne, in the Confederate Army. Under the Command of His Majesty of Great Britain...In the Spanish Netherlands, Anno Dom. 1692. Printed for Dorman Newman. 1693. First Edition. , 68pp. With imprimatur leaf, A1. A crisp copy in contemporary, blind ruled speckled sheep, with some cracking to spine, slight wear to extremities. Nineteenth-century bookplate to FEP. Some marking to front endpapers. [MOLESWORTH, Robert]. An Account of Denmark, as it Was in the Year 1692. Printed for Tho. Longman. 1738. Fouth Edition, Carefully Revised. , xxiii, , 432pp. 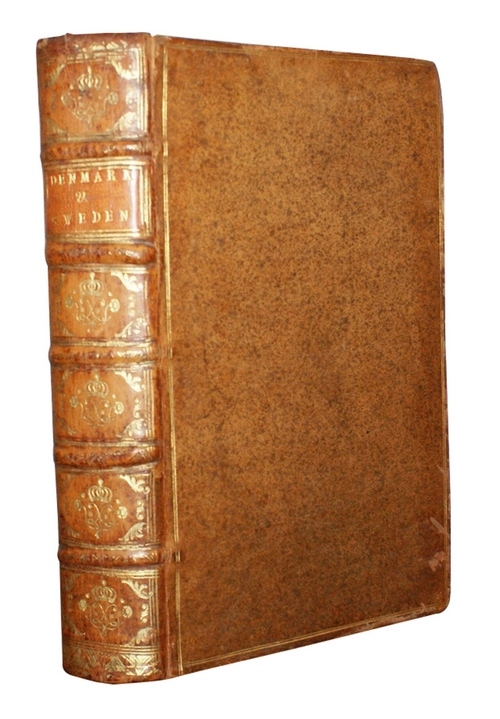 Contemporary speckled tan calf, with contrasting morocco lettering-piece, spine richly gilt. 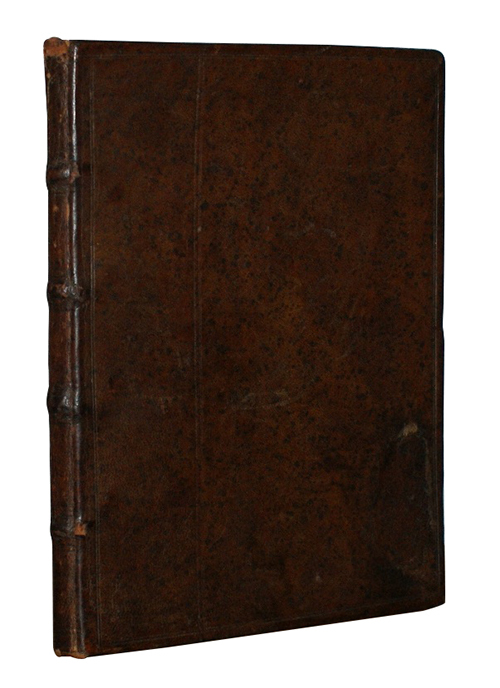 Binding very slightly rubbed to fore-edges, short crack to upper joint at head of spine. A crisp, unpressed copy. Armorial bookplate of William Middleton, Crowfield Hall, from the land-owning family of Suffolk and South Carolina. [PORTUGUESE ART], ALFAMA. Doze Desenhos De Lisboa. 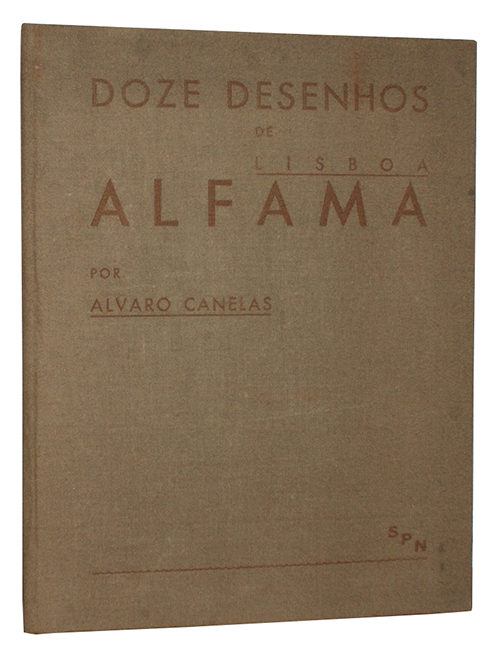 Alfama Por Alvaro Canelas. S.P.N., [c.1936]. First Edition. 12 beautiful monochrome prints of Lisbon, loosely housed within the original publisher's brushed cloth lettered folio boards. Each print is numbered 71/100, and signed by the artist in pencil. [WINDSOR]. The Procession of Albert Edward Prince of Wales, and the Princess Alexandra of Denmark from Eton to Windsor, on the 7th March, 1863. Lithographed & published by R. Canton....Sole Agent for Windsor & Eton, W.F. Taylor. . First edition. Coloured lithograph, single print on five joined sheets, accordion-folded within printed pink wrappers. Split at fold between third and fourth panel, occasional short tear to other folds. Rubbed and faded to extremities of wrappers, creased, with slight loss to spine. If you would like to receive such emails, please fill in your details below. Copyright 2012-19 - Antiquates is the trading name of Antiquates Ltd. Okay, thanks - I accept.